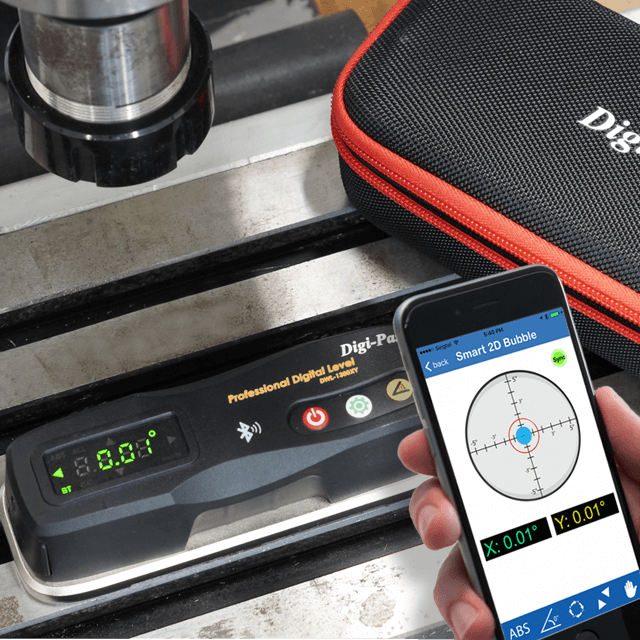 Digi-Pas DWL-1300XY is an AFFORDABLE Wireless-Bluetooth, Dual-Axis Precision Digital Level of 0.01° resolution designed for industrial users & professionals. This 2-axis SMART Digital Level replaces old-fashioned VIAL levels. 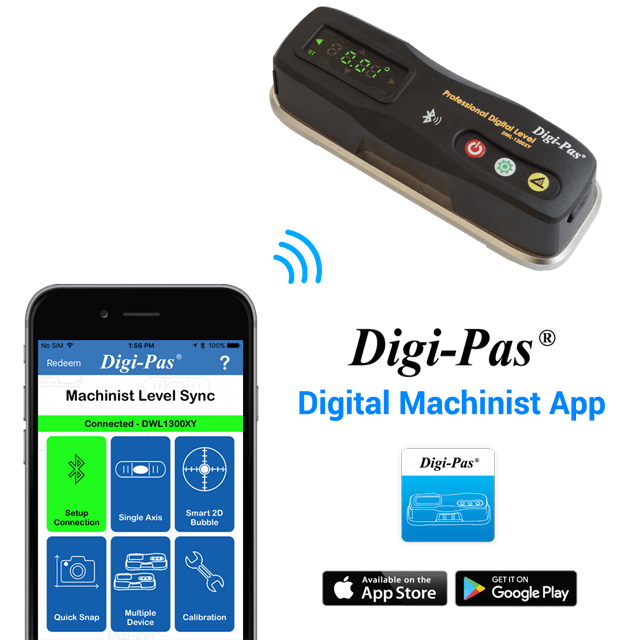 Users read both X & Y axis levelling measurements wirelessly in proximity via Bluetooth, which effectively cut down installation & setup time effortlessly (ONE-MAN operation) for precision machines & equipment, especially when used in conjunction with Digi-Pas Machinist Level Mobile App with user’s smartphone (optional purchase available for Apple & Android App Stores). Digi-Pas® DWL-1300XY are used for installation, setup, maintenance of milling & surface grinding CNC machines. It is able to accurately level jig & fixtures and worktable of the machines prior to machining process for achieving exact and precise flat surface machining. Precise fabrication setups keep the machined parts within the required tolerance. The simultaneous display for dual-axis feature of Digi-Pas® DWL-1300XY master machinist digital level speeding up alignment procedures and reducing training level for new operators to reliably achieve precise levelling results. Operator does not need to meticulously taking readings in both directions over and again as experienced with traditional single-axis levels. Digi-Pas® DWL-1300XY 2-Axis model is used for Vision Measurement Equipment installation & setup. Levelling & checking equipment's positional Stability for high quality sharp image capturing & measurement. Digi-Pas® DWL-1300XY is used for aligning precision fixtures. 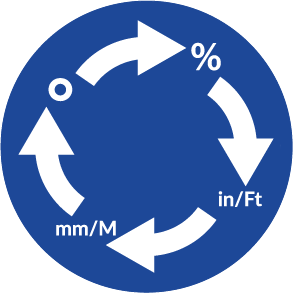 Absolute levelling and positional accuracy are required in meeting tight tolerance for highest quality in many manufacturing processes within semiconductor wafer foundries. Digi-Pas DWL-1300XY dual axis model is used for monitoring a precision wafer manufacturing equipment's performance. Digi-Pas® DWL-1300XY is used in railway maintenance & operation to detect rail tracks deformation and elevation variations. It is a useful tool in aids for rail lines realignment, repair and construction of a new rail line. Accurate rail tracks longitudinal profile levelling and transversal alignment lead to enhanced safety standard for high speed railway operation.